The final volume in a five-book set collecting the complete fiction of William Hope Hodgson, an influential early twentieth-century author of science fiction, horror, and the fantastic. Night Shade Books’s five-volume series presents all of Hodgson’s unique and timeless fiction. 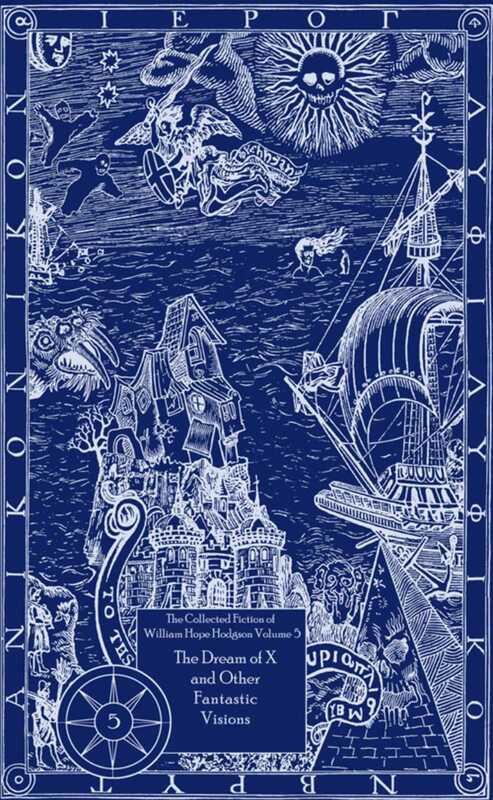 Each volume contains one of Hodgson's novels, along with a selection of thematically-linked short fiction, including a number of works reprinted for the first time since their original publication. The final book of the five-volume set, The Dream of X and Other Fantastic Visions, collects all of Hodgson’s miscellaneous writings, "revisions”, and altered works for US publication, including The Dream of X, a condensed, Hodgson-edited version of The Night Land.